Home RxTV Rx Rants ROELLY WINKLAAR: NEXT MR OLYMPIA? ROELLY WINKLAAR: NEXT MR OLYMPIA? 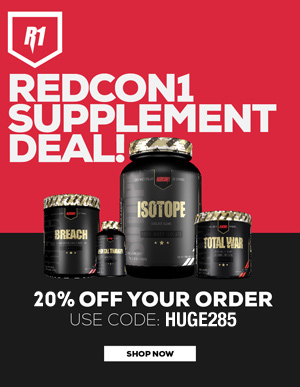 GET 20% OFF AT REDCON1.COM, USING PROMO CODE HUGE285! LIMITED TIME DEAL. SHOP NOW AT REDCON1.COM. Roelly Winklaar takes the top prize at the Arnold Classic Australia, and Dave Palumbo is impressed. Dave breaks down the evolution of Roelly Winklaar from the time he earned his pro card to becoming one of the most notable "mass monsters" in bodybuilding today, to now putting it together to defeat the likes of William Bonac and Dexter Jackson to capture one of the most prestigious bodybuilding titles on the calendar.